Please DO NOT PURCHASE this listing until you have contacted me to check for fabric availability. Let me know which fabric you are interested in, and once I have verified that I have it, you can add this item to your shopping cart. 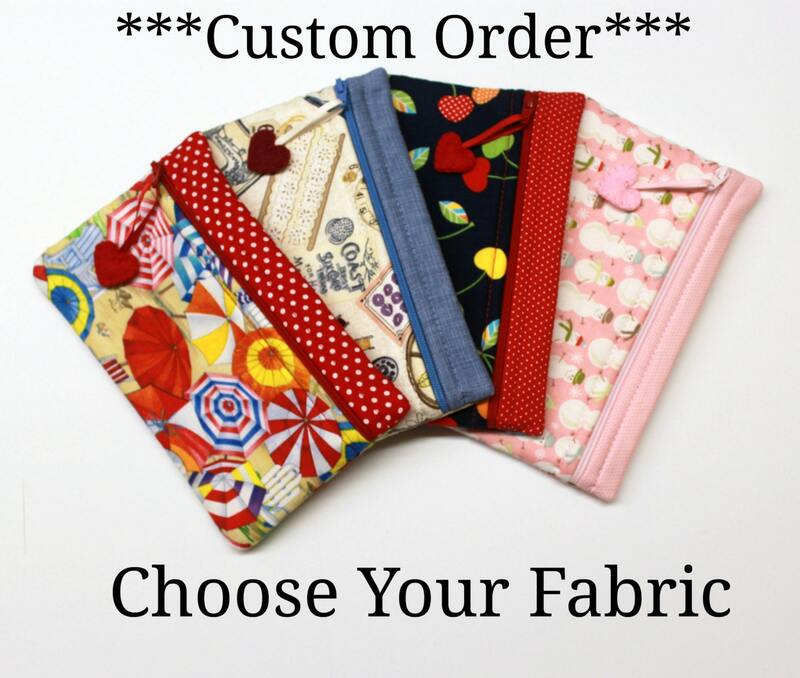 These cute little zipper bags measure approximately 7 1/2" wide by 4 1/2" tall and are a great size to hold your scissors, needles, floss and accessories. 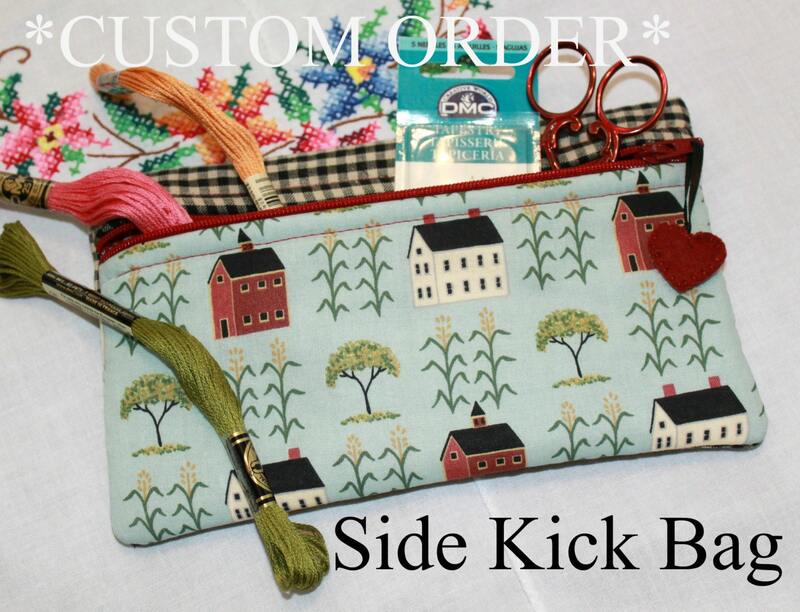 Love the custom sidekick bag! 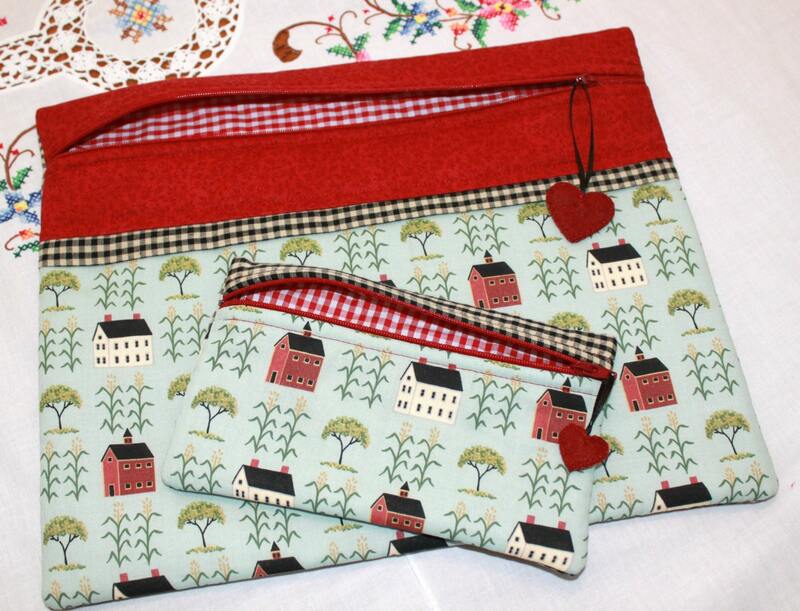 Great little zippered bag sold in a variety of patterns. 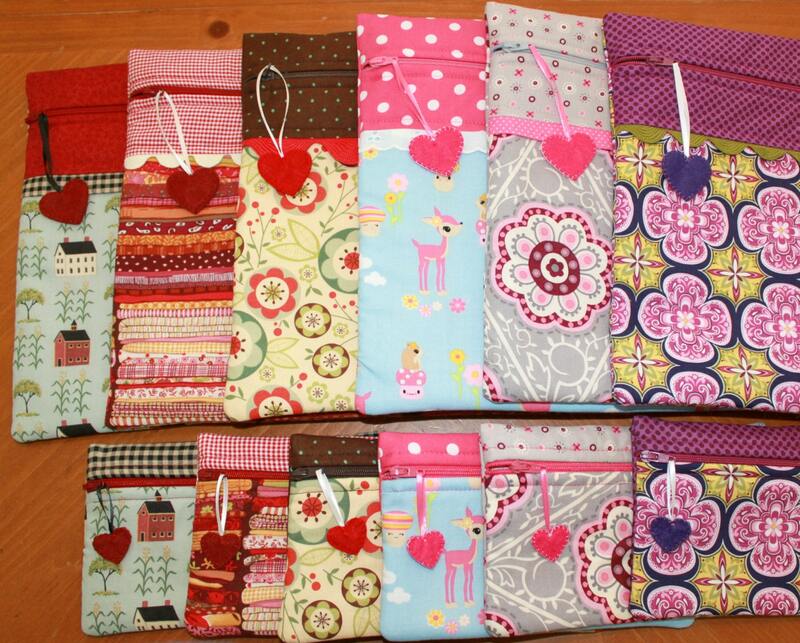 Makes a great gift or match it up with a project bag. I have bought many.